1. Simple operation menu, all settings and using are simple and convenient without any adjustment for operators. 2. 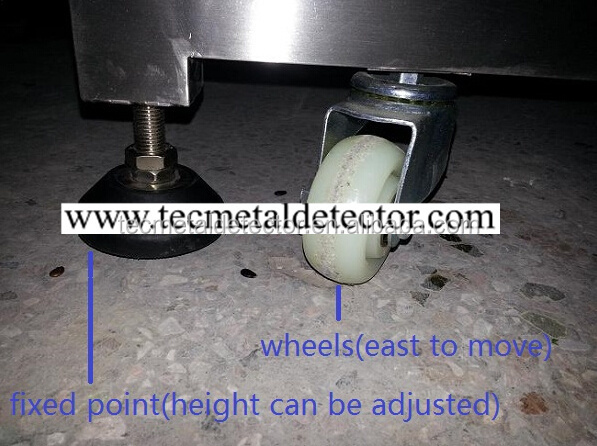 All the equipment parameters of detection are locked automatically, when use it, you can just place the product that needs detected on the conveyors, then the system of detection will recognize automatically. 3. 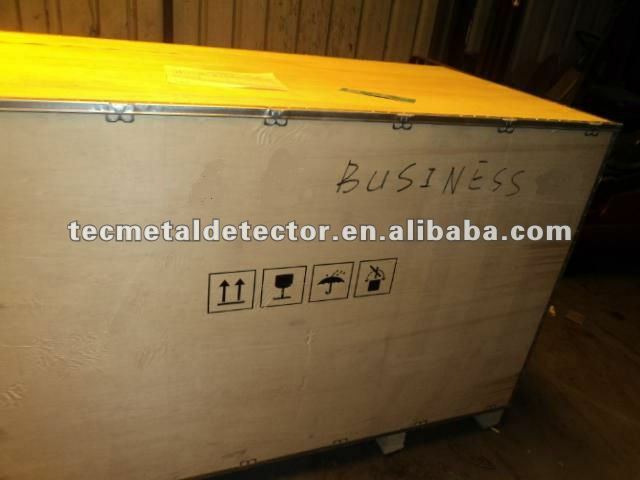 It can detect the iron, stainless steel, copper, Al and all kind of metal chips which mixed with products, as well as, some of non-metal that transmitting electricity and magnetism. 4. Can record up to 15 kinds of different products, parameters of detection and the most simple operation is replacement of different products occasions frequently. 5. 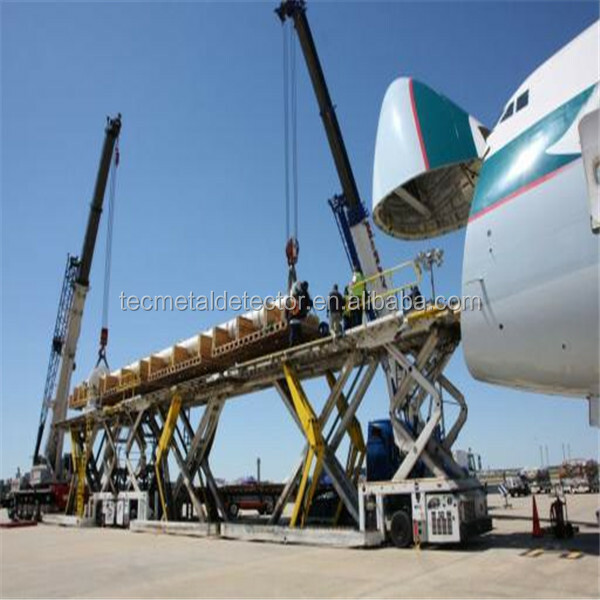 The style of conveyors is opening and unloading structure, for day-to-day cleaning. 1. 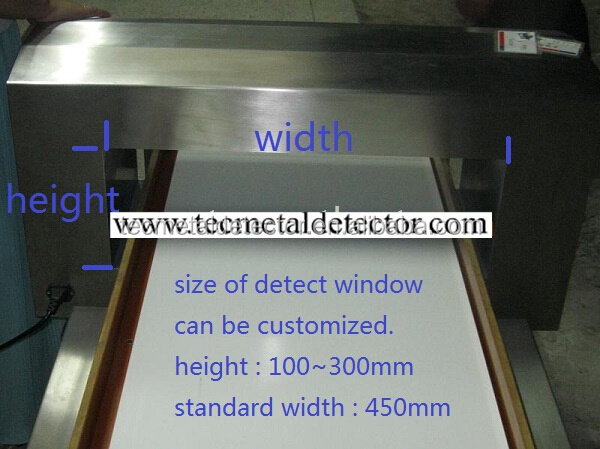 Apply to food (including aquatic products and quick-frozen food, extruded food, salted foods etc..) pharmaceuticals, plastic, chemicals textiles and other occasion that need metal detection. 2. Apply to high temperature, low temperature(minus twenty degrees), damp, dry, dust, dew and other poor work environment. 1. using the detection circuit with specially high-performance design and with advanced digital signal processing algorithms. The actual detection proved that it reached the most advanced international level. 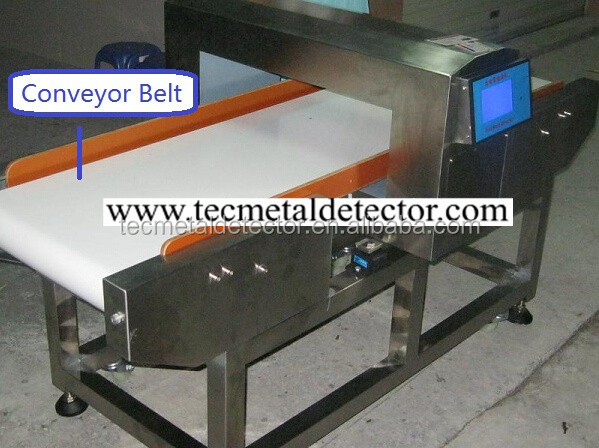 2. against the variety of detector products , with the learning functions of automatic identification. 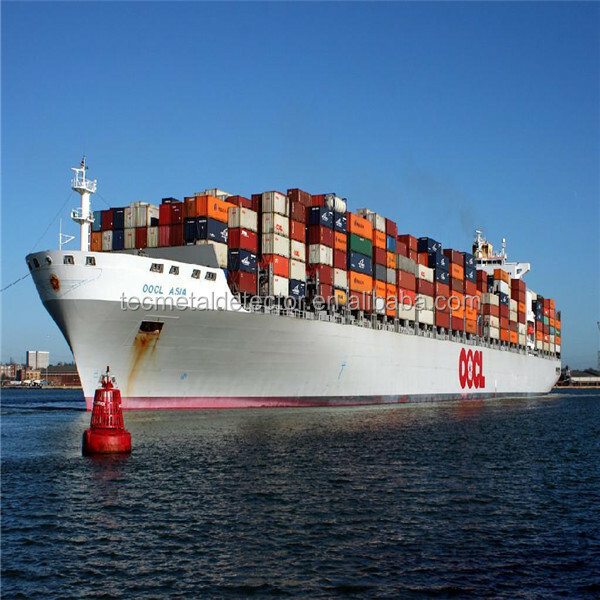 Overcome the effect of products material efficiently. 3. detection probe is designed specially and improved the detection sensitivity further. Improve the detection sensitivity. 1. Adopting DSP, DDS and many other digital technology to process testing signal. 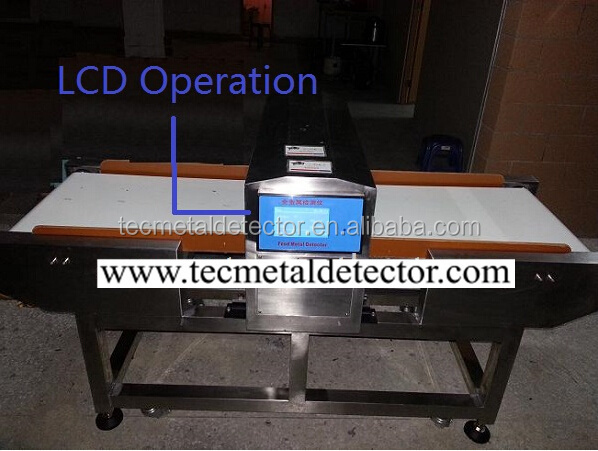 Comparing with traditional simulation detector , it has the advantage of universal function, stable capability, high credibility. 2. Timber known, fine craft, solid structure, good-looking in appearance, durability. 3.main structure adopted international SUS304 manufacturing, the sandblasted surface treatment, good corrosion resistance, good-looking and easy to clean. 1> we accept all OEM service,if quantity is big,OEM is free of charge,if not,we will charge a little OEM Cost. 1>We will make all efforts to accommodate your need. 2>If you are satisfied with our products, please confirm and leave your positive feedback. we will do the same for you. Thanks! 4>Welcome your suggestions. Your support and concern will give us more strong power to do better.